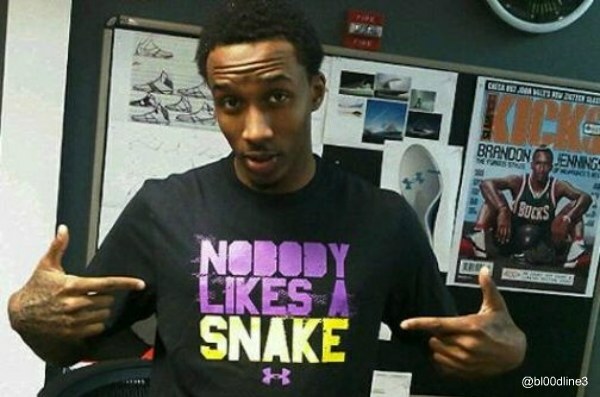 Who does Brandon Jennings really think was the greatest basketball player ever? Everyone is entitled to their own opinion, even if his or her opinion is totally outlandish. Brandon Jennings caused some waves in the basketball world last night and this morning when he took to his Twitter to claim that Michael Jordan wasn't the greatest to play the game. So who did the Detroit Piston dub as the best in the game? Kobe Bryant. Read his 140 character thoughts below. Kobe Had Shaq. MJ had Pippen, Dennis, Ron Harper, Horace Grant, Steve Kerr, Toni Kukoc, John Paxson, B. J. Armstrong.